As randomly offensive as his lyrics may seem, Eminem has mastered his talent into a form of reclaiming his pride. He spent his childhood roaming from his birthplace, Kansas City, to Detroit with his mother, never being able to find a stable hometown and school. Hence he pursued a life and identity in the hip-hop culture by releasing a debut album, Infinite, in 1996. Ironically, the response to his debut stifled his self-expression as he was labelled as a Nas and AZ sound-alike. Ripe for revenge, Eminem bombarded his critics with The Slim Shady EP, which not only gave the rapper a chance at originality but also at stirring controversy with his remorseless tunes of fury. Yet it would do him no justice to dismiss him as a spiteful cursing machine. His fascinating freestyle ability is easy to underestimate or even recognize with the scorching flames blowing out of his mouth. At the start of his rap career, Eminem personally sent a copy of his overlooked debut album to Wendy Day from the Rap Coalition. Her nod of approval got him into the Coalition’s 1997 Rap Olympics in Los Angeles, where he was honoured with second place in the freestyle competition. With the help of his manager, Paul Rosenberg, Interscope Records got a hold of his demo. Finally Eminem decided that it was his “time to shine” on his radio debut on the world-famous Wake Up Show with Sway and Tech by spewing a most ferocious lyrical mix that literally slapped the faces of the hosts and listeners wide awake. His underground classic “5 Star General” stretched out to Japan, New York, and Los Angeles, which also won him a spot on the inaugural Lyricist Lounge tour. Before long, Eminem was a superstar and one of music’s most controversial figures. His shocking lyrics (both solo and with side posse D12), his duet with Elton John, his public trials with his on/off wife and estranged mother…all of these things and more kept him in the public eye so often, he made Tommy Lee look like a social recluse. But Eminem’s music kept his profile high too, as his Slim Shady and Marshall Mathers LPs sold by the millions; the latter was even nominated for several Grammys, including album of the year. In the age of bored and hungry hip-hopsters, Eminem, with his fiery eyes and blazing lyrics, has broken into the rap and hip-hop dome by melting the image of the sold-out Vanilla Ice. 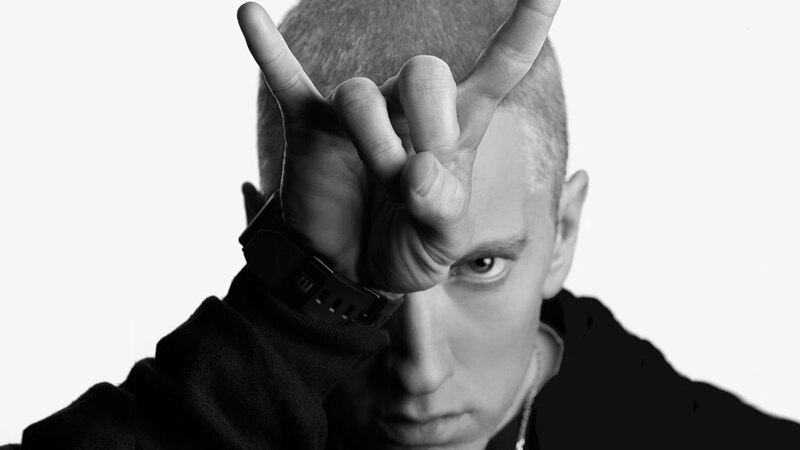 You may hate his anger, but it’s his only ammunition, and as long he is who he is, Eminem is going to take nothing back.